Regarded as an artist in narrative, [Stevenson] is probably indebted to France, and his admirations there, for the influence which made him cope, and cope successfully, with the artistic problems presented by the short story. This influence is not so gross as to be reckoned in terms of a specific source. It is to be traced through his artistic conscience and still more through his conception of what should be done in the telling of a story. The last third of the century saw the new short story thoroughly established in America, its scope marvelously broadened, its popularity steadily increasing, and the general level of technical excellence rising almost as fast. In a previous chapter I have discussed midcentury short narrative in England, and endeavored to do justice to the excellent novelettes of Dickens, the exquisite brief tales of Mrs. Gaskell and Dr. Brown, the almost impressionistic stories of Henry Kingsley. These writers added their pound or their mite to English literature. 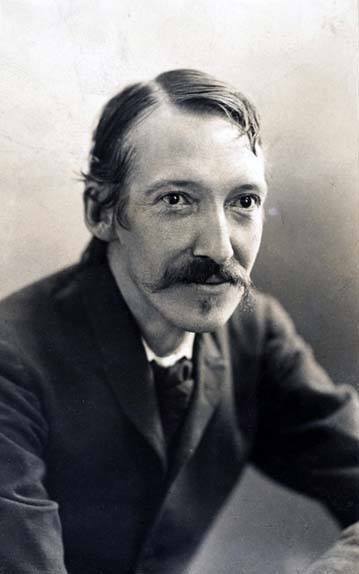 But not until 1877, and Robert Louis Stevenson's first published narrative, does any Englishman of real caliber show both desire and ability to do something new with the short story. This narrative was A Lodging for the Night, published in Temple Bar for October, and followed by Will o' the Mill in The Cornhill Magazine for January, 1878, and The Sire de Maletroit's Door in Temple Bar for the same month. A Lodging for the Night is as clearly and consciously an impressionistic short story as George Meredith's contemporary novelettes are not of that category; the two stories which followed would assure the most timid critic of our generation that here was a master in this department of fiction. It is strange that the English discovery of the impressionistic short story should have come so late. Perhaps there is something antipathetic to the British temperament in so restrained and so graceful an art. The American masters, even Poe, have been very American, the French excessively French. But the chief tellers of the short story in England all betray a foreign tincture. Kipling is a colonial, Conrad a Slav, Maurice Hewlett Italianate. And Stevenson was a Francophile from his youth up. The French affiliations of Stevenson it is unnecessary, at this late date, to prove. It is not so easy, however, to determine the effect of his interest in things French, for the results are blended with the Scotch and the English in the man, and with that which was neither Scotch nor English, but just himself. Regarded as an artist in narrative, he is probably indebted to France, and his admirations there, for the influence which made him cope, and cope successfully, with the artistic problems presented by the short story. This influence is not so gross as to be reckoned in terms of a specific source. It is to be traced through his artistic conscience and still more through his conception of what should be done in the telling of a story. For example, the best French literature leaves a sense of perfect finish, and a complete satisfaction with the way the thing has been done, irrespective of what that thing may be. Call it a result of the Latin sense of form, call it French grace, call it what you will, at least it is easily recognizable. Something of this perfection of expression, and as much of this French grace, appears in every story, long and short, of Stevenson's. Indeed, in the short stories it even determines the mode of the narrative. The French counsel of perfection demanded the perfect form, and this, for the short narratives of his contemporaries in France, was the impressionistic short story, in which the French for some decades had been successful, though, hitherto, without marked influence upon English work. Naturally it became the perfect form for Stevenson. With these circumstances in mind, read, for an example, that bijou, The Sire de Malétroits Door — "a true novel, in the old sense; all unities preserved moreover, if that's anything," so Stevenson wrote of it in a letter to Sidney Colvin, August, 1877. The setting is good medieval French; that, however, is not to the point. The plot is romance of the English rather than the French brand. But the exquisite nicety of incident, moving step by step, from the swing of the door which traps the hero, to the cruel uncle who condemns, the maiden who scorns, who weeps, who melts just as the night turns into dawn—this quality of perfect balance is French. It is hard to describe otherwise in words. Yet, if in his taste and in his counsels of perfection Stevenson is French, in the subject-matter of his short stories he is Anglo-Saxon. His thoughts on life are not French thoughts. His themes remind one of Hawthorne, not of Maupassant. There is The Strange Case of Dr. Jekyll and Mr. Hyde, that short story thrown over into the form of a detective romance. What Frenchman would have concluded the narrative, not with the throes of a final transformation, but with the last moralizing of Jekyll upon Hyde! I do not say that Stevenson's climax is inferior; merely that it is, typically, an English one. Or there is Markheim, a story less powerful in execution, but more excellent in workmanship, and an almost ideal example of the impressionistic short story. Flaubert might have written the description of the curiosity shop as the murderer saw it, with its accusing clock-voices, its wavering shadows, from the inner door "a long slit of daylight like a pointing finger." And Flaubert would have praised the skilful gradation of incident and description, whereby conscience gains and gains in the struggle for Markheim's mind. But Hawthorne would have been prouder still of the plot—a weak man with a remnant of high ideals suddenly realizing that his curve is plotted and can lead him only downwards. And how un-French is the entrance of that mysterious visitor who comes in as the devil and retires revealed as a kind of Puritan Almighty, tempting in order that the soul may be tried and repent! How like to Hawthorne's usual way is Stevenson's determination to make, at all costs, a moral issue the outcome of his story! Indeed, this lover of the French touch is thoroughly Anglo-Saxon in his choice of situations for his stories. Nor is this conclusion restricted to Stevenson's experiments in man's moral nature. Will o' the Mill is like a twice-told tale not only in theme; its whole effect is Hawthornesque. A Lodging for the Night has for its kernel a question of ethics. Even The Sire de Malétroits Door, The Merry Men, and Providence and a Guitar, are concerned with honor, with unselfishness, or with the result of crime! I have compared Hawthorne with Stevenson as the writer in English most readily typifying the racial tendency towards moral analysis in narrative. Of the two, Stevenson is the better craftsman. He makes his setting real; he makes his characters act, and be influenced, and change, with greater verisimilitude, beauty, and ease. His pen was more flexible. French authors had taught him to be more tireless in the search for perfect expression. But his superior craftsmanship is, perhaps, due quite as much to a lack of intensity as to a keener pursuit of art. His ideas are more novel, less fundamental than Hawthorne's. It must have been easier to put them into concrete form. This is possibly a deficiency, certainly not a fault. But Stevenson's counsel of perfect expression did lead him astray. He did not overpolish. That is impossible. But he made his polishing too evident. The "brutal and licentious public, snouting in Mudie's wash-trough," persisted in thinking, so he said, "that striking situations, or good dialogue, are got by studying life; they will not rise to understand that they are prepared by deliberate artifice and set off by painful suppressions." Alas, it was unnecessary to inform even the snouters that deliberate artifice was being practised in his own works. The thing is palpable in every phrase where the words are the dernier cri in specificness, and in each rhythm tuned to a superperfect harmony. Yet, though palpable, this artifice is not unpleasant. On the contrary, at his best, the exquisite Euphuism which this supreme polisher could produce is sheer delight. No story in the world reads better aloud than The Sire de Malétroits Door, no phrasing in contemporary prose thrills the ear more entrancingly than certain passages in Will o' the Mill and Prince Otto. But is it not—Euphuism? And, if it is Euphuism, will it not suffer with a change of taste? Suppose this to be true. Suppose these flowered sentences, graceful rhythms, vivid words, should eventually mar the excellency of the stories which they adorn. Something will remain. Stevenson's keen studies of our moral nature, the essential Englishness of which we have just been discussing, must possess an enduring value; the grace and beauty of his story's form will continue worthy, even if his style should lose its charm. Last of all comes his place in the development of the short story, and here what has just been reckoned a fault must be counted again, and as a virtue. Stevenson is the great polisher of the short story. He finally elevates modern short narrative above the suspicion of triviality. Hawthorne had given it dignity without flexibility, Poe beauty without a solid basis, and a generation replete with hasty writers had followed. The services of a stylist were needed, and, in Stevenson, secured. Furthermore, he set the impressionistic story upon its feet in England, and upon a firmer base in America. "There are, so far as I know, three ways, and three ways only, of writing a story," so he said to Graham Balfour, as reported in the latter's Life of Robert Louis Stevenson, ii. 169. "'You may take a plot and fit characters to it, or you may take a character and choose incidents and situations to develop it, or lastly—you must bear with me while I try to make this clear '—(here he made a gesture with his hand as if he were trying to shape something and give it outline and form)—'you may take a certain atmosphere, and get action and persons to express and realize it. I'll give you an example—The Merry Men. There I began with the feeling of one of those islands on the west coast of Scotland, and I gradually developed the story to express the sentiment with which that coast affected me.'" The third item in this description, when interpreted freely, defines Stevenson's purpose in the short story. He shoots straight at a mark, the single effect, and employs every word in the aiming. As well aware of just what he wished to accomplish as Poe or Henry James, he influenced his own contemporaries more than the former, and was read far more widely than the latter. He became an authoritative sponsor for the new short story. It can hardly be said that Stevenson conquered new fields for this short story. But he did make it beautiful. Sometimes his artistry in words obscures the movement of the life those words should reveal. The clothes which adorn the figure may hamper its free and natural movements. Nevertheless, the vividness of his moral stories, the grace of his lighter tales, and the beauty of all, will enable his admirers to endure with some equanimity the detractions which lurk for the reputation of the polisher and perfecter of style.